Even with the best design - quality printing is needed to set you apart from your competition. La Fiesta has over 30 years of proven experience with printing high quality products with short turnaround times. 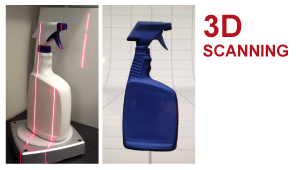 3D scanning offers more opportunities to create custom graphics on difficult bottle shapes. Understanding flexographic printing with a focus on shrink sleeves.